GasCare take gas safety very seriously and all of our Gas Safe Registered engineers are qualified to undertake gas safety inspections. 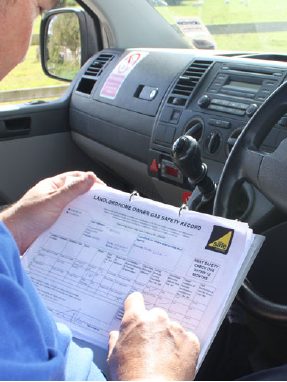 If you wish to book a gas safety inspection please contact us or call 08000 193 194, we will be pleased to help. Buying or selling your home? - Central Heating Inspection! No hot water or heating on your first day in your new property would be a nightmare. Having a Home Buyer Central Heating System Check before you finalise the purchase will highlight any potential issues the heating system may have. Your mortgage lender may want evidence the central heating system has been inspected and serviced. This is not normally part of your surveyors report. If the vendor cannot provide the service history, we can carry out a full central heating inspection and report. We will carry out a visual inspection on all aspects of your central heating system and provide a report you can show your mortgage lender. You will be advised of any potential faults there may be on the central heating system. This report may help you negotiate a lower price for the property purchase. The Home Buyer report is just £98 including vat. Consider the benefits of being able to show potential buyers your boiler and central heating system is safe and has been regularly maintained. We will provide a full boiler service and complete central heating system check for just £120 including vat. You will receive a detailed report to show your central heating is in good condition. This could help you sell your property if your prospective purchaser can see the central heating system has been serviced and checked. Call us on 0800 0193 194 to book your Home Seller Central Heating Inspection.